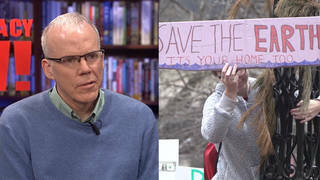 Wendell Potter on “Deadly Spin: An Insurance Company Insider Speaks Out on How Corporate PR is Killing Health Care and Deceiving Americans” | Democracy Now! former executive at CIGNA and Humana. He is now a Senior Fellow on Health Care for the Center for Media and Democracy. He is author of Deadly Spin: An Insurance Company Insider Speaks Out on How Corporate PR is Killing Health Care and Deceiving Americans. In an extended interview, Wendell Potter discusses how the healthcare industry attacked Michael Moore’s film Sicko and the heathcare reform movement. Click here to watch Part 2. AMY GOODMAN: Congress enters its lame duck session this week, and Republican lawmakers are already vowing to repeal or defund parts of the healthcare reform bill signed into law earlier this year. Republicans are also taking their fight against what they call “Obamacare” into state capitals and courtrooms around the country. Nineteen states have joined a lawsuit brought by Florida Attorney General Bill McCollum, who claims the new healthcare law is too broad and unconstitutional. And in Texas, Republican legislators are proposing to drop out of Medicaid altogether. Last week, Senate Republican Leader Mitch McConnell promised to try and repeal the current healthcare law before it’s fully implemented. 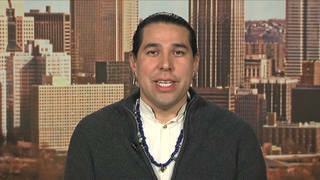 He spoke on CBS’s Face the Nation. SEN. MITCH McCONNELL: This was a huge, huge issue in the election last Tuesday. A vast majority of Americans feel very, very uncomfortable with this new bill. People who supported us, political independents, want it repealed and replaced with something else. I think we owe it to them to try. Admittedly, it will be difficult with him in the White House. But if we can put a full repeal on his desk and replace it with the kind of commonsense reforms that we were advocating during the debate to reduce spending, we owe it to the American people to do that. If that fails, then we’re willing to look at all of the various pieces of this as they become effective and how we might impact trying to carry out our commitment to the American people to keep this awful 2,700-page monstrosity that took over one-sixth of our economy from going into effect. AMY GOODMAN: Speaking at a news conference the day after the midterm elections, House Republican Leader John Boehner also underscored the need to repeal healthcare reform. AMY GOODMAN: Well, a former health insurance insider, now whistleblower, argues the Republicans will ultimately settle for gutting the law of its provisions that protect consumers instead of repealing the law altogether. That’s because the insurance industry is a major beneficiary of healthcare reform. They’re also a major contributor to Republican campaigns. Wendell Potter should know. He spent two decades as a chief spokesperson for two of the nation’s largest health insurers: Humana and CIGNA. In June of last year he made national headlines when he testified on Capitol Hill about the profit motive driving the unscrupulous practices of the insurance industry. WENDELL POTTER: My name is Wendell Potter, and for 20 years I worked as a senior executive at health insurance companies. And I saw how they confuse their customers and dump the sick, so all they — so also they can satisfy their Wall Street investors. AMY GOODMAN: A few months later, President Obama cited Potter’s testimony during a nationally televised address before a joint session of Congress . But despite his criticism, Obama assured the insurance industry he wants to keep it in business. PRESIDENT BARACK OBAMA: As one former insurance executive testified before Congress, insurance companies are not only encouraged to find reasons to drop the seriously ill, they are rewarded for it. All of this is in service of meeting what this former executive called “Wall Street’s relentless profit expectations.” Now, I have no interest in putting insurance companies out of business. They provide a legitimate service and employ a lot of our friends and neighbors. I just want to hold them accountable. AMY GOODMAN: That was President Obama speaking last year. We are now joined for the hour by Wendell Potter. His last position in the insurance industry, before he left in 2008, was head of communications CIGNA. We invited CIGNA on the program, but they refused our invitation. Wendell Potter is now Senior Fellow on Health Care for the Center for Media and Democracy. His first book is just out; it’s called Deadly Spin: An Insurance Company Insider Speaks Out on How Corporate PR is Killing Health Care and Deceiving Americans. We turn now to Wendell Potter. WENDELL POTTER: Thank you, Amy. Thanks for inviting me. AMY GOODMAN: It’s very good to have you with us. What do you think is going to happen in Congress? WENDELL POTTER: I think you’ll hear — it’ll be sound and fury, for one thing. You’ll see that the Republicans in the House, who will be chairing committees, will be having a lot of hearings. They will be going through the motions of repealing the legislation. We’ll see it on the Senate side, too. But they are not really genuinely serious about that. They — in their comments on TV, that we just saw, they’re talking to the people who elected them, not to the people who finance their campaigns, like the insurance companies. AMY GOODMAN: But don’t the insurance companies like this legislation? WENDELL POTTER: — for that matter, there are good things here. But it doesn’t reform the system. It is built around our health insurance system, as the President said. And they want to keep it in place, because it also guarantees that they will have a lot of new members and billions of dollars in new revenue in the years to come. AMY GOODMAN: How does it ensure that? WENDELL POTTER: One of the — the core component of this — and it’s kind of ironic, but the one thing that the Republicans and conservatives are saying they want to repeal is the provision that we all have to buy coverage from private insurance companies. AMY GOODMAN: Like we do for auto insurance. WENDELL POTTER: Exactly, right. And they’re citing or they’re saying that that’s unconstitutional. That’s also all for show, because it is just an effort to try to, in a sense, turn people away from the idea of reform. It sounds complicated, but it’s part of the insurance companies’ strategy. They want to have more Republicans in Congress because they thrive in an environment in which Republicans are controlling one house, or both, in Congress, or state houses and state governorships. AMY GOODMAN: But would they ever have gotten this mandate if the Republicans were in power, the mandate to appease the insurance industry so it wouldn’t torpedo the rest? WENDELL POTTER: Actually, the idea of a mandate is something that Republicans in the past have embraced. And it’s been — it was a central of tenet of the insurance companies’ ideas for reform. And they — it was their biggest need in this legislation, the other being the — making sure that the public option was not included in the legislation. But they want this to go forward with that provision. They just don’t like some of the consumer protections in the bill. AMY GOODMAN: We’re talking to Wendell Potter, former chief spokesperson for CIGNA and, before that, Humana, the insurance companies’ greatest fear, a top insider turning out and deciding to blow the whistle on the companies. This is Democracy Now! We’ll be back with him in a minute. AMY GOODMAN: Our guest for the hour is Wendell Potter, former executive at CIGNA and Humana, former chief spokesperson, now Senior Fellow on Health Care for the Center for Media and Democracy. His book is called Deadly Spin: An Insurance Company Insider Speaks Out on How Corporate PR is Killing Health Care and Deceiving Americans. And if you have a question for him, you can go to our Facebook page at facebook.com/democracynow, and we’re going to try to get some of those questions in. Wendell Potter, describe what finally made the decision for you to leave. Why did you quit? WENDELL POTTER: There was a young woman in California, a 17-year-old — I say young woman; she was still a teenager — who was needing a liver transplant. And she was — her family was insured by CIGNA. Her doctors said that it was necessary for her to survive. She was a leukemia patient. CIGNA refused to pay for the transplant. And it became a very well publicized case. And the publicity was so great that CIGNA eventually decided to pay for it. But regrettably, so much time had passed, she had gotten so much sicker, that she died the same day. I had, over the course of my career, handled a lot of what we call high-profile cases. But that was just kind of the straw that broke the camel’s back. I just didn’t have the heart or the stomach to continue being a spokesperson for an industry that, in my view — not just my view, but I knew from the work that I had done — has contributed to a lot of the almost intractable problems of our healthcare system. AMY GOODMAN: Let me play Nataline’s mother, Hilda Sarkisyan, who became an outspoken critic of your company, of CIGNA, and the health insurance industry. We interviewed her on our program last year as the healthcare debate was in full swing. She began by talking about what happened to Nataline, her daughter. HILDA SARKISYAN: Well, we miss her. We don’t have our beautiful daughter with us anymore. And CIGNA is doing this every day, every day. And that’s why I’m out there to help other families to stop them. It’s not only CIGNA; it’s all the insurance industry, that they are placing profit before patient, and it’s not right. And they are enforcing the care of people, not their — you know, they should not enforce the care of the people to their deep pockets. It’s all about their pocket, all about the CEO, how much he makes. I miss my daughter. I had a beautiful, perfect daughter. I don’t have her anymore. I don’t. 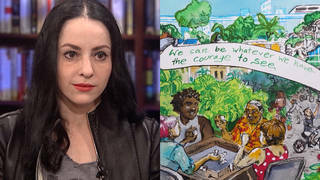 AMY GOODMAN: Hilda, describe what happened to your daughter. HILDA SARKISYAN: Well, we had insurance. We were covered. We thought we had insurance. So it’s like having insurance and not having insurance is the same thing. People who have insurance and don’t have it, they get the same care. But having insurance and knowing that you do have it, and you are recommended to a certain hospital, because the insurance company only pays if you go to that hospital, you go to that hospital, which in our case was UCLA. We were transferred there. By the way, that’s our fourth hospital within, I would say, three years, because they were jumping us around. And finally, you go there. My son gave her the perfect bone marrow transplant, perfect match. And my daughter needed a liver transplant. And so many requests, so many requests, and they were — the doctors were denied. We were denied, until the California Nurses Association stepped in, helped us out. We had to get out and go to their headquarters in Glendale, make a scene with our family, the Armenian Youth Federation, our church. Why do we have to do that? I’m a mother who should have been next to my daughter. Only if I knew she was going to die that same day, you think I would have that energy to go out there and do that? I could have been holding my daughter’s hand and praying with her. This is not right. AMY GOODMAN: Hilda Sarkisyan. Her daughter Nataline died at the age of 17, a few days before Christmas in 2007, a few hours after CIGNA, under tremendous pressure, reversed their decision on paying for Nataline’s care. So, talk about what happened inside the company? We often just don’t know that perspective. We know they reversed their care, under — their decision, under tremendous pressure. But what was going on inside? WENDELL POTTER: You know, one thing about this that people need to understand is, if you are a squeaky wheel, if you become someone who really does begin to complain — go to the media, if you’ve been denied something, just to make sure viewers know this — you can get some special attention. And that was what happened. It became what we called a high-profile case. And I’m always involved — I was. The chief communications person, lawyers, business people were involved, to do a very quick analysis of what was involved in the case. And there were some reviews of her case that were expedited. So a lot went on within a few hours. But still, days passed, from the time that we first learned about this until the time that it was approved. But when it got right down to the company being aware that the Sarkisyan family and supporters were going to be staging a protest in front of our headquarters in California, our offices there, that got the CEO’s attention. And a meeting was held very quickly to determine, well, what will happen to the company’s reputation if we don’t reverse this. And so, a decision was made within a few hours after — or actually, during the protest, it was communicated to the family that CIGNA would pay for the transplant. It was just so much intense pressure that the company really felt it had no option. AMY GOODMAN: And who makes the decision inside? Who says no, before the yes, because the CEO gets embarrassed? WENDELL POTTER: It’s a corporate employee, just like I was a corporate employee. It just happens that he has an “M.D.” after his name or her name. Health insurers always have medical directors on staff who make these kinds of determinations. Only a medical director can deny a transplant. But they are paid by the corporation, just as I am, and they realize, just as much as I do, that they have their role to play in helping the company meet its profit expectations. AMY GOODMAN: I want to talk about the case of Thomas Concannon. He was the former head of the Federal Defenders of the Eastern District of the Legal Aid Society here in New York. And in 2002 — this was years before Nataline — Concannon was suffering from multiple myeloma, a rare form of cancer. His doctors planned to perform a bone marrow transplant, but as he lay on the operating table, his insurance company — yours, CIGNA — announced it would not cover the operation. 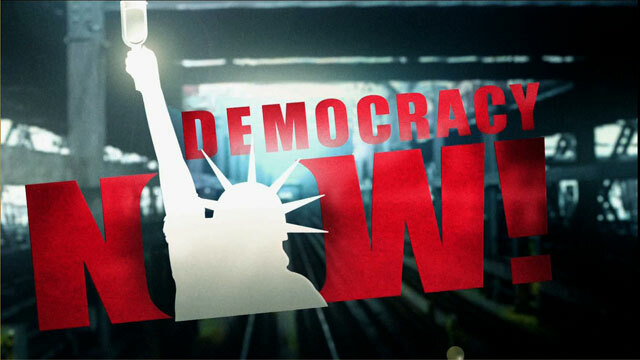 Days later, Tom Concannon came on Democracy Now! with his wife. This is part of our interview seven years ago, on April 24th, 2002, Tom Concannon and Elisabeth Benjamin, supervising attorney in the Health Law Unit, at the time, of the Legal Aid Society. This is Tom Concannon. AMY GOODMAN: That’s your wife? THOMAS CONCANNON: Yes, that’s my sweetie here. She — it was to be put in on that day. And that was the day we got the notice from — we got the letter from CIGNA saying we’re not — from Dr. Janet Maurer, saying we’re not going to — they were not going to approve that. AMY GOODMAN: What can people do, Elisabeth Benjamin, in a case like this? ELISABETH BENJAMIN: Well, if you want to help Tom, I think a good thing to do would be to call CIGNA’s vice president and corporate spokesman and express your utter dismay at their conduct in this case. His name is Wendell Potter, P-O-T-T-E-R.
WENDELL POTTER: I’ll never forget that day. That was — that made a big difference. It honestly did. My email was unbelievable. It was almost like, after that, they just started rolling in. And my phone was ringing off the hook. And that just, again, points out how important it is to become the squeaky wheel. 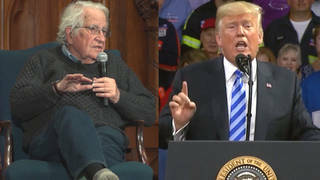 AMY GOODMAN: And for people inside, you know, Dan Ellsberg was the Pentagon Papers whistleblower, and he always said what a difference it made to see people outside and how he slowly turned. Were there other people in CIGNA who were talking behind the scenes, saying, “What are we doing?” I mean, they have families. They get sick. WENDELL POTTER: It happens. And we had those conversations often, private conversations within the organization. And many times, we were instrumental — I say “we,” the folks of us who were in the public relations or public affairs area — we would counsel the CEO and others that you need to take into consideration the public relations consequences of a particular course of action. And that sometimes would lead to a reversal. And as we’ve seen, it has, in many times. But there are people who are just like me. They — and you. They’re compassionate people. They want the best care. But they are kind of stuck in jobs that pay them quite well, and they don’t really have the ability to influence outcomes necessarily. AMY GOODMAN: The proposals that have now — the law that — parts of the law that have gone into effect — for example, kids going on their parents’ health insurance until 26 — this is a question from Facebook. Can the Republicans repeal the new rules eliminating preexisting clauses — conditions clauses? WENDELL POTTER: Those are the kinds of things that Republicans will probably go after, the consumer protections. They will probably be siding with what the insurance companies’ rhetoric is, that we need to have more, what they call, “market-based solutions” and fewer regulations. I don’t think they’ll be able to strip out the prohibition against preexisting conditions, because it is something that I think most of us really need to realize does indeed keep so many of us from getting any insurance at any price. But those are the kinds of things that the Republicans will undoubtedly go after, because they’re the things the insurance companies don’t like. AMY GOODMAN: Are there similar cases — another Facebook question — where families don’t go to the media? WENDELL POTTER: Oh, many, many, many times. And you never hear about them. They never came to my attention. But this goes on all the time. There are people who are denied coverage for life-saving treatments. And these decisions are made by someone who often, as in Nataline Sarkisyan’s case, is 2,000 to 3,000 miles away and never examines the patient directly. So, this happens every day, day in and day out. And it’s just the occasional one that gets the media’s attention. AMY GOODMAN: Talk about your trip to — was it Wise, Virginia? WENDELL POTTER: It was Wise, Virginia. I grew up in a fairly remote part of east Tennessee, and Wise is near the Virginia state line. Wise County is just a few miles north of where I grew up. And I was back home visiting my family in the summer of 2007, picked up the newspaper, read about an expedition that was being held at the Wise County fairgrounds. And I was intrigued by it. I borrowed my dad’s car. It said that people would be coming from four or five hundred miles away. They’d be driving from Ohio or South Carolina, Georgia, to be able to get free care that was being provided by doctors and nurses volunteering their care. So I was curious. And I — it was a life-changing trip. And that decision I made was one that would set me on a different course. AMY GOODMAN: Talk about it, so — and what you saw. WENDELL POTTER: I drove up there. It was 50 miles. And I got to the fairgrounds. The parking lot was jam-packed. It was a rainy day. I couldn’t see any activity outside the fairground gates. Once I went inside, it was such a stark contrast to what was on the outside. People were lined up by the hundreds, standing in long lines or sitting in long lines, many of them without shelter, in the rain, getting soaking wet, waiting for hours to get care that was being provided in animal stalls, in many cases, and in barns and under tents that had been set up, like MASH units at a wartorn site. And it was just so startling for me to see that. I realized, when I saw those folks, that many of them could have been people I grew up with. My relatives could have been there. And they were people who, I learned later, most of them have jobs. They just don’t have jobs that offer insurance benefits. And a lot of them do have insurance, but they’re in these new kinds of plans that insurance companies are pushing more of us into, that have such high deductibles or limited benefits that we can’t get the care we need, even if we’re sending our premium dollars in. When I saw that, it was almost as if I was supposed to be seeing something like that to jolt me out of the complacency that I had been in for all these many years. WENDELL POTTER: Yeah. It was a life-changing experience. AMY GOODMAN: And here you were flying around in the corporate jet next to the CEO. WENDELL POTTER: I had been doing that for years, and not giving it a second thought. About two weeks after that experience, I knew when I saw that that I wasn’t at all comfortable with what I was doing. I was having misgivings, in the first place. I was having the beginning of a crisis of conscience for other reasons. AMY GOODMAN: The gold-rimmed china didn’t calm you down when you were being served lunch on the corporate jet? WENDELL POTTER: It didn’t, no. And what you’re referring to is a trip I was — I took on a corporate jet just a couple of weeks after that experience, flying from Philadelphia, where CIGNA is based, to its healthcare operations in Connecticut. And we were served — the CEO and I — lunch on gold-rimmed china, and we were given gold-plated flatware to eat it with. And we were sitting in a very luxurious leather chair, flying in a corporate jet that cost $5,000 an hour to operate, or just the jet fuel alone was $5,000. And for the first time, I was paying attention to what was — what I was doing. And I realized that the people in Wise County and elsewhere in this country were in the predicaments they were so that I could fly around in such luxury to get from one place to another. AMY GOODMAN: Who was the CEO you were having lunch with in your jet? WENDELL POTTER: H. Edward Hanway, Ed Hanway. He was the CEO for a number of years. 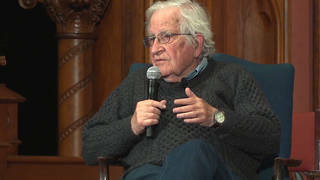 AMY GOODMAN: Did you share your thoughts with him? WENDELL POTTER: You know, I didn’t. I didn’t have, looking back, the courage to do some of the things that I really thought I should do. I did begin talking to my colleagues, and eventually to my boss, and made it clear that I had had a good run at CIGNA. I didn’t do this because I had an ax to grind with CIGNA, to tell you the truth. It was because I became so aware of the industry’s practices. What CIGNA — as Nataline Sarkisyan’s mother said, it’s not just CIGNA; it’s every private insurance company that engages in these practices and that contribute to the problems we have in this country in our healthcare system. WENDELL POTTER: Ultimately, they will not be, unless there has been some evidence of fraud or proof of fraud. What we have now is a system in which insurance companies, if they don’t want to pay your claims and you’ve bought your insurance through what’s called the individual market, if you get sick and you have medical claims coming in, they can go back and cancel your policy. And they’ll return your premiums, but they will refuse to pay for any of your medical care. There was a woman who testified before Congress about this practice. It’s called “rescission.” And she was in the midst of treatment for breast cancer when she got notice that her insurance was being covered, and she was going to be left to have to pay for all of her cancer care. And the reason was because she presumably had forgotten to note on her application for coverage that she had been treated for acne in the recent past. And they felt that that was justification enough that she had not disclosed everything about her medical care. And so they used that. People in the insurance companies were paid and have been paid bonuses for being able to find reasons to cancel people’s coverage. The legislation will outlaw that, and it already has, unless someone — unless someone actually intentionally lies in their application, which points out something else about our healthcare system: people are so desperate to get coverage, if they have been sick, that often they will lie. They will either leave something out or make some intentional misrepresentation, because otherwise they can’t get care. That doesn’t happen in any other developed world. It’s insane that we have a system in which people are afraid to tell the truth because they’re afraid they won’t get coverage. WENDELL POTTER: You know, it’s — I’ve been asked a lot, why aren’t more people doing what I’m doing? Well, it’s because it’s terrifying. You don’t know exactly what they’re going to do in retaliation. And probably a lot of it is just fear. You know, we all live in fear of retaliation. I certainly was. I didn’t know what would happen to me. I know that the insurance industry, it does whatever it can to win and to make sure that it wins, in particular, in the halls of Congress. And so, what I was doing was something that could jeopardize their goals on Capitol Hill. So, I don’t think necessarily that I’ll be — I’m not a whistleblower in the classic — as, I guess, through the legal definition. I’m not disclosing anything proprietary that CIGNA did. I’m just disclosing some practices of the insurance industry that people have never talked about before, and I’m just kind of pulling the curtain back so that people can see the lengths they go to to meet Wall Street’s expectations and also to influence lawmakers. AMY GOODMAN: We’re talking to Wendell Potter. He was the chief spokesperson for CIGNA and, before that, Humana. And then he turned. And he has written the book Deadly Spin: An Insurance Company Insider Speaks Out on How Corporate PR is Killing Health Care and Deceiving Americans. We’ll come back to talk with him in a minute. AMY GOODMAN: We’re speaking with a chief whistleblower, former chief spokesperson for the health insurance industry, the insurance industry’s greatest nightmare. He was the spokesperson for CIGNA for years and, before that, Humana. And then, through a series of incidents, his own encounters with people without healthcare dying for lack of insurance, he stepped out. He quit. And he’s written the book Deadly Spin: An Insurance Company Insider Speaks Out on How Corporate PR is Killing Health Care and Deceiving Americans. Wendell Potter is our guest. WENDELL POTTER: Yeah. You know, I talk about the system, and, you know, there are medical directors in every, every company. And that’s the important point here. Nataline — you know, it might had been different had she been covered by Aetna; it might not have been. It might had been different if she had been covered by United. We’ll never know what happened to her. These are not faceless people necessarily, but they are part of a system. They are employed by corporations that make life-and-death decisions. It is the CEOs, in my opinion, who are ultimately responsible for this. They are the ones who are accountable. The only accountability they have, quite frankly, in our current system is to the investors and the Wall Street analysts who cover the industry. That is who they answer to. And those, in my opinion, are the people who really need to be held to accountability in this country. AMY GOODMAN: What about the provisions in the healthcare legislation that the healthcare company will oppose? They love the mandate: everyone’s got to buy their health insurance. I mean, there are many single-payer activists who are enraged by what Obama did. So, in an odd way, they join with the Tea Party Republicans in saying that Obama has destroyed a chance of getting truly affordable healthcare, that this is insanely expensive because he preserved the insurance industry, the very industry you’re speaking out against. AMY GOODMAN: Not only isn’t it single payer, it doesn’t even have a public option. WENDELL POTTER: It doesn’t, it doesn’t. And I think that the people who were advocating for a single-payer system, or liberals, were right to be outraged. But we live in a political world, and we’ve been trying to get some kind of meaningful reform enacted in this country for a hundred years, as I write in my book. And every time we’ve come close, it has been defeated, because of activities like the insurance industry. It’s not just been the insurance industry in years past. The AMA has played key roles in many times in the past in killing legislation. AMY GOODMAN: How do the companies conspire with the AMA? How does it actually work inside? WENDELL POTTER: Back during the Clinton years, I was involved in the effort to kill, regrettably, the Clinton healthcare plan. It was no great legislation compared to what we really need, but it was a real serious attempt at reform. But the doctors didn’t like it, the hospitals didn’t like it, and the insurance companies didn’t like it. They disliked it for different reasons, but the thing they had in common was that there was at least something they didn’t like about it. So this was this organization in Washington called the Healthcare Leadership Council, and I went to many, many meetings of this organization. It was an umbrella organization that’s sole purpose was, at that time, to kill the Clinton plan. And the AMA had a representative there, and so did the medical device manufacturers and all the other big insurers. And you conspire in that kind of an organization, that is outside of the traditional roles of your trade association, where these interests can come together and work to defeat something. It’s easier to defeat something than it is to support something and get something passed. AMY GOODMAN: Amazingly, more and more doctors — in fact, I think in some polls a majority of doctors — are for single payer. AMY GOODMAN: They’ve really turned around, and, like in many situations, their own association ends up trailing behind, not representing them. WENDELL POTTER: Exactly right. And the AMA ultimately came to support this legislation. And again, in years past, they’ve really been adamant opponents of reform. But you’re right. Doctors are becoming all too aware of what it is like to try to practice medicine and do the right thing for patients in a system that is dominated by insurance companies. AMY GOODMAN: How does CIGNA, Humana, deal with organizations like Physicians for a National Health Program? These are the big single-payer activists in the United States. Are there dirty tricks campaigns against them? AMY GOODMAN: So, did you have talking points? AMY GOODMAN: Whenever you refer to that, you say “socialized medicine”? WENDELL POTTER: Exactly. When you say something like that, it’s not true, but it doesn’t have to be true. You just say it, and you say it over and over and over again. You get your allies to say it over and over again, to the point that Americans believe it. And we saw that happening during this recent campaign. They were calling this legislation that was passed a government takeover of the healthcare system. It certainly was not. WENDELL POTTER: Yeah, I can understand why people can be so easily persuaded that this is bad legislation. It already is beginning to help people. There are a number of consumer protections that are now in effect. But people just are not aware of them because they’re not seeing it right now. And you’re right. AMY GOODMAN: And the Obama administration seems to be afraid to tout it, because it’s become such a flashpoint. WENDELL POTTER: Which is just maddening. During the whole debate, I was — I kept wondering when the Obama administration was really going to be rolling out its sophisticated communications techniques to explain this legislation. AMY GOODMAN: Like maybe a ceremony on the day that kids could stay on their parent’s healthcare. It was about a month ago, right? 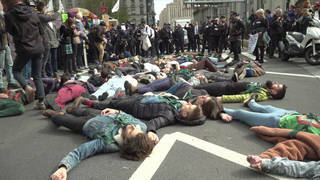 AMY GOODMAN: Until they’re 26. AMY GOODMAN: I saw hardly any mention of this. WENDELL POTTER: I know. They seem to have lost the ability to communicate. Senator Claire McCaskill was quoted, and I saw her being interviewed, the day the Senate was to vote on its version of the legislation, why they found themselves voting on a bill that didn’t have a public option. And she said, “Well, we lost the messaging battle.” And it’s very true. The advocates of reform just were so outfoxed constantly by opponents of reform. AMY GOODMAN: The polls are amazing, the poll numbers, Kaiser Family Foundation in August: eliminating preexisting condition exclusions for kids, 72 percent in favor; providing tax credits to small businesses, 71 percent in favor; limiting insurance companies from withdrawing coverage, 68 percent in favor; closing the Medicare prescription drug donut hole, 64 percent in favor. They have the whole country behind them. AMY GOODMAN: OK. Let’s go to Sicko. Let’s go to the Academy Award-winning filmmaker Michael Moore’s film, Sicko. PRESIDENT GEORGE W. BUSH: We got an issue in America: too many good docs are getting out of business; too many OB/GYNs aren’t able to practice their — their love with women all across this country. NARRATOR: When Michael Moore decided to make a movie on the healthcare industry, top-level executives were on the defensive. What were they hiding? SECURITY: That’s not on, right? LEE EINER: The intent is to maximize profits. MICHAEL MOORE: You denied more people healthcare, you got a bonus? UNIDENTIFIED WOMAN: When you don’t spend money on somebody, it’s a savings to the company. PRESIDENT RICHARD NIXON: I want America to have the finest healthcare in the world. MICHAEL MOORE: Four healthcare lobbyists for every member of Congress. Here’s what it costs to buy these men and this woman, this guy, and this guy. And the United States slipped to 37 in healthcare around the world — just slightly ahead of Slovenia. LINDA PEENO: I denied a man a necessary operation and thus caused his death. This secured my reputation, and it ensured my continued advancement in the healthcare field. MARY MORNIN: I work three jobs. PRESIDENT GEORGE W. BUSH: You work three jobs? PRESIDENT GEORGE W. BUSH: Uniquely American, isn’t it? I mean, that is fantastic. NARRATOR: Laughter isn’t the best medicine. LAURA BURNHAM: I get a bill from my insurance company telling me that the ambulance ride wasn’t pre-approved. I don’t know when I was supposed to pre-approve it. After I gained consciousness in the car? Before I got in the ambulance? NARRATOR: It’s the only medicine. MICHAEL MOORE: There was actually one place on American soil that had free universal healthcare. Which way to Guantánamo Bay? REP. DUNCAN HUNTER: Detainees representing a threat to our national security are given access to top-notch medical facilities. MICHAEL MOORE: Permission to enter. I have three 9/11 rescue workers. They just want some medical attention, the same kind that the evil-doers are getting. Hello? AMY GOODMAN: Alright, there you have it, the trailer for Sicko. It comes out. What does CIGNA do? You were the spokesperson. Were you the spokesperson at the time? WENDELL POTTER: I was, yeah. AMY GOODMAN: So, how did you prepare for this? WENDELL POTTER: Well, we were afraid, as the movie was being made, that Michael Moore would do ambush interviews, as he’s done in a lot of his movies in the past. So we lived in fear — I did, especially — that my CEO would be getting out of his limousine at some point, and there would be Michael Moore with a camera in his face. So, one of the things we had to do was to make sure that we media-trained our CEO and other executives so that they wouldn’t look like a deer caught in the headlights, if we could do that at all. AMY GOODMAN: What did you tell your CEO? Wait, tell me his name again? AMY GOODMAN: What did you tell Ed? AMY GOODMAN: Then it wouldn’t have just been the people of New York calling you, but people all over the country calling Wendell Potter. WENDELL POTTER: Exactly, exactly. But I was willing to take the bullet, because I was, you know, paid for that. 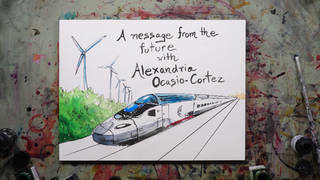 AMY GOODMAN: And what were you going to say? AMY GOODMAN: No, but what was your message on Sicko? WENDELL POTTER: The message on Sicko was that this was Michael Moore’s vision for America, was to lead us into socialized medicine. We went back to those points again. We wanted to make sure that people were afraid of any other kind of system that would have more government regulation and in which people had universal care. AMY GOODMAN: Did you work with other insurance companies in dealing with Michael Moore? WENDELL POTTER: Oh, absolutely. Absolutely. We heard about Michael Moore starting this movie when he announced it, I think, in 2004. And as the movie was being made, we didn’t really know exactly how we would be portrayed in the movie. But when the movie premiered at the Cannes Film Festival in 2007, we, as the industry, the industry trade association, sent a staff member to the Riviera to go to the movie, to be among the first to see it, and then report back via conference call who was in the movie, how we were being portrayed. And we, from that moment on, developed a very, very sophisticated communications campaign. AMY GOODMAN: Can you say what it was in five seconds, because we’re just about out of time? WENDELL POTTER: To make sure that people were — saw him as a Marxist, as a socialist, and that he was going to be destroying the American Dream. AMY GOODMAN: Wendell Potter, are you for socialized medicine now? WENDELL POTTER: I think that we need to have a system in which everyone is covered. If you call that socialism, so be it. AMY GOODMAN: Wendell Potter, former executive, former chief spokesperson for CIGNA and Humana. His book is called Deadly Spin: An Insurance Company Insider Speaks Out on How Corporate PR is Killing Health Care and Deceiving Americans.